100 runners have been chosen to participate in the inaugural edition of the Ultra Trail Torres del Paine occupying 15, 50, and 35 slots for the 109 km, 67 km, and 42 km races respectively. Hosting runners from 14 countries, Chile, Argentina, Brazil, the United States of America, and Australia take the top 5 spots for the most number of runners. The registration for the inaugural edition of the Ultra Trail Torres del Paine closed on the 26th of August 2014 with 100 selected runners from 14 countries. 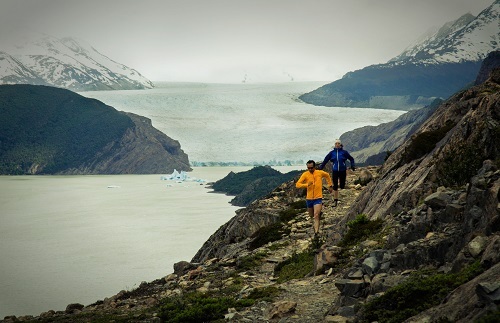 Runners from Argentina, Australia, Brazil, Canada, Chile, Ecuador, France, Guatemala, Italy, South Africa, Spain, Uruguay, United States of America, and Venezuela are taking part in the first ultra trail running event in Torres del Paine National Park. Most runners are coming from Chile, taking up 53% of the available slots. Chile is followed by its neighboring countries, Argentina and Brazil, and then by the United States and Australia (A total of 35% from all four countries). Opening only 100 slots for its inaugural edition, all of them were filled with 15 runners for the 109 km, 50 for the 67 km, and 35 for the 42 km. With the 67 km and 109 km distances being qualifying races for the North Face® Ultra-Trail du Mont-Blanc®, their runners will garner 2 and 3 points respectively. The event has ten race ambassadors who share the spirit and mission of the Ultra Trail Torres del Paine: Krissy Moehl (USA), Veronica Bravo (Chile), Ryan Sandes (South Africa), Yassine Diboun (USA), Marcelo Sinoca (Brazil), Billy Barnett (USA), Willie McBride (USA), Max Keith (Chile), and John Focke (USA). Five of those ambassadors will be participating in the race’s inaugural edition: Bravo (Chile), McBride (USA), and Diboun (USA) will run the 109 km distance, while Sinoca (Brazil) and Keith (Chile) will run the 67 km distance. Since its inception in 2002, NIGSA has valued unique expeditions that have never been done before. Its in-depth geographical knowledge of Southern Patagonia allows NIGSA not only to craft new ways of discovering and promoting Patagonia, but also to further the conservation of and the sustainability within the region. This entry was posted in News, South America, Travel and tagged news, Ultra Trail Torres del Paine. Bookmark the permalink.